Carbon dioxide (CO2) is the primary greenhouse gas emitted through human activities. Carbon dioxide is naturally present in the atmosphere as part of the Earth's carbon cycle (the natural circulation of carbon among the atmosphere, oceans, soil, plants, and animals). Human activities are altering the carbon cycle–both by adding more CO2 to the atmosphere and by influencing the ability of natural sinks, like forests, to remove CO2 from the atmosphere. While CO2 emissions come from a variety of natural sources, human-related emissions are responsible for the increase that has occurred in the atmosphere since the industrial revolution. 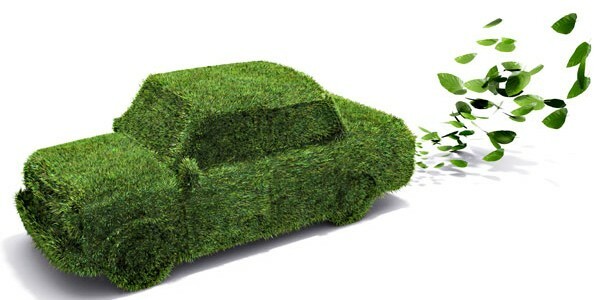 The most effective way to reduce carbon dioxide (CO2) emissions is to reduce fossil fuel consumption and improving the engine efficiency for more mileage. In order to reduce CO2 emissions, an engineer has developed a new combustion spark ignition engine that reduces auto CO2 emissions by an estimated 50% and significantly increases gas mileage by about 100% due to doubling of the efficiency of the engine. He seeks licensing agreements with manufacturers under newly formed DARLEMA Inc.
Vice President of Sales & Marketing, Matt Mulhern, of newly formed DARLEMA Inc. claims that this is a revolutionary breakthrough in motor design engineering, reported by PR Newswire. "A full-sized vehicle with an engine of 250-300 HP of this design will get between 60-65 miles per gallon and create 50% less pollution as compared to the vehicles on the road today," claims Matt Mulhern. "The emissions of a 250- 300hp engine of this design are 92g-94g CO2/km combined city/highway driving, surpassing EPA and other international government 2025 requirements of 100g CO2/km," he says. "The current engines on the road today have carbon emissions of 150g-210g CO2/km. The automotive industry is attempting to comply with the EPA standards of 2025 for 100g CO2/km by developing different types including electric engines. This surpasses the regulations now. "With this engine, the motorist fills up the car as he normally does and goes for over 1,200-1,300 miles before needing to refuel and reduces the pollution of his trip by over 50%. This new engine has the low pollution attributes and efficiency ratings similar to electric engines. This will obsolete the Diesel engine and the regular Spark Ignition engine.